New Delhi (dpa), 17 August 2018 - At least 164 people have died in the latest wave of floods in the southern Indian state of Kerala, pushing the death toll during the monsoon season in the region to 324, officials said Friday. Scores of troops and rescue workers were freeing people trapped in floods in the tourist resort state. Most of the deaths reported were people who drowned or buried by landslides. “Kerala is facing its worst flood in 100 years. 80 dams opened, 324 lives lost and 223,139 people are in 1500+ relief camps,” Kerala chief minister Pinarayi Vijayan said on Twitter without giving further details. 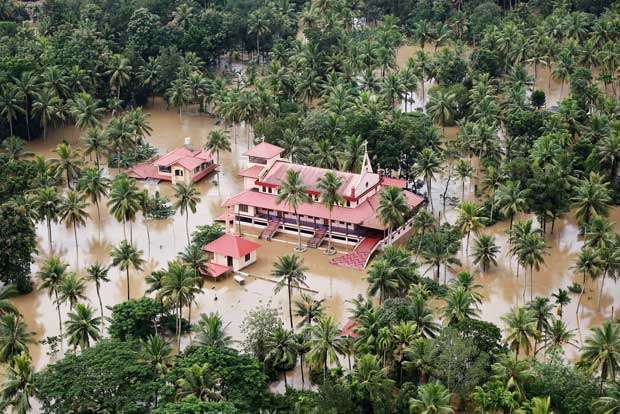 Kerala disaster management officials in the state capital, Thiruvananthapuram, said that 324 deaths had been reported since the monsoon season began on May 25. “164 people have died in the second more deadly spell of floods since August 8 till today. What is of serious concern is that toll has more than doubled from 67 listed on Wednesday,” the officials said. “In some areas, airlifting is the only option ... thousands are still marooned,” Vijayan told a press conference earlier on Friday. The numbers of people at the state-run relief camps has swollen to 223,139, even as domestic media reported that rainwater had started entering the shelters. India’s National Emergency Response Centre said 868 people have lost their lives in seven states since the start of the monsoon season in the country, domestic media reported.